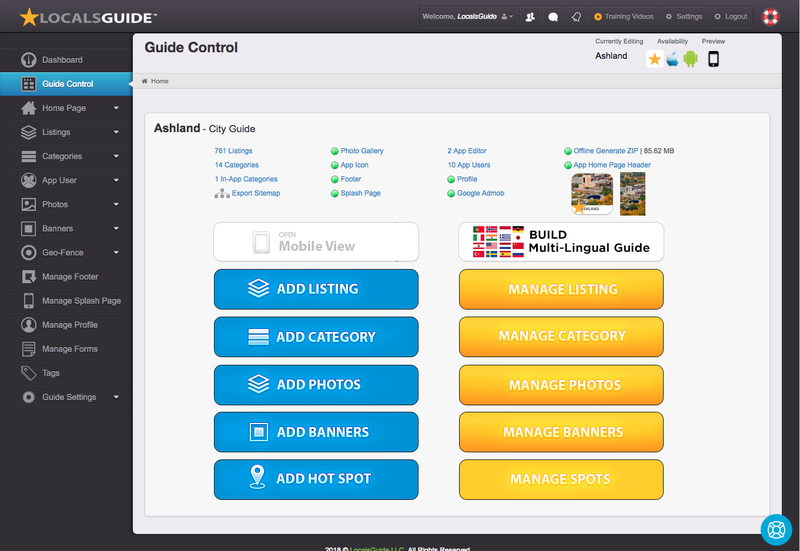 To manage your guide you first need to click into the Guide Control Panel. All essential guides stats and controls will be displayed here. Guide Stats – Key information and alerts about your guide. How many listings your guide has. How many categories your guide has. How many paid categories your guide has. An detailed .doc site map of your guide. Useful for managing large guides and creating printed versions of guides. Red is Disabled – Green is Enabled. Click to manage photo gallery. Please note the photo gallery template must be assigned to a category and the category must be turned on in the home page menu in order to display. Red is Disabled – Green is Enabled – Click to manage icon. Red is Disabled – Green is Enabled – Click to manage footer. Displays many editors are assigned to manage your app. Click to Manage. How many listing owners are there in your guide? A special page on the html template to display base information about your guide. Offline Generate ZIP – Click this button to dynamically generate the offline version of your guide. Offline versions are generated nightly, but if you want to create a new build click the button. An important images in your guide displayed after the loading of the Splash page. A quick link to HTML Preview. 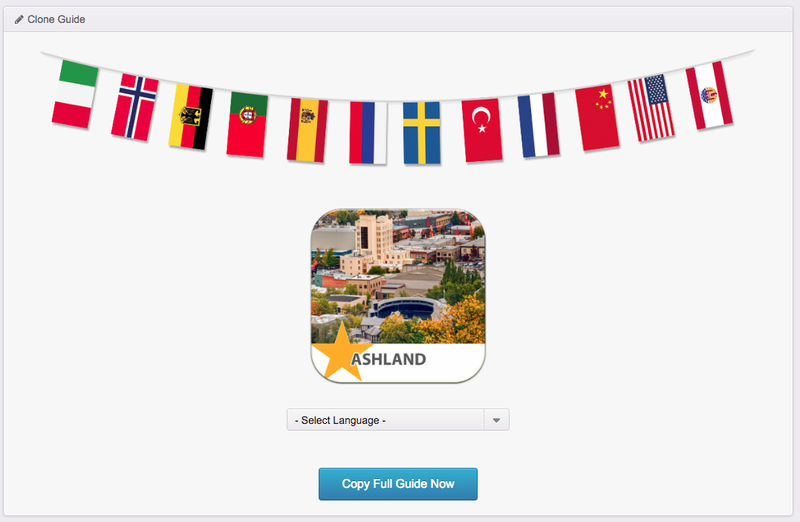 Click this button to create a multilingual guide. Creating a multilingual guide will clone your master guide creating an exact copy that you can then go back and edit with translated text. Please note you can only copy the original english guide and you cannot copy translated guides. Please also note that once guides have been copied you cannot undo. Only copy your guide when you are 100% ready to build the translated version. Add Category – Choose from 11 different types of categories.